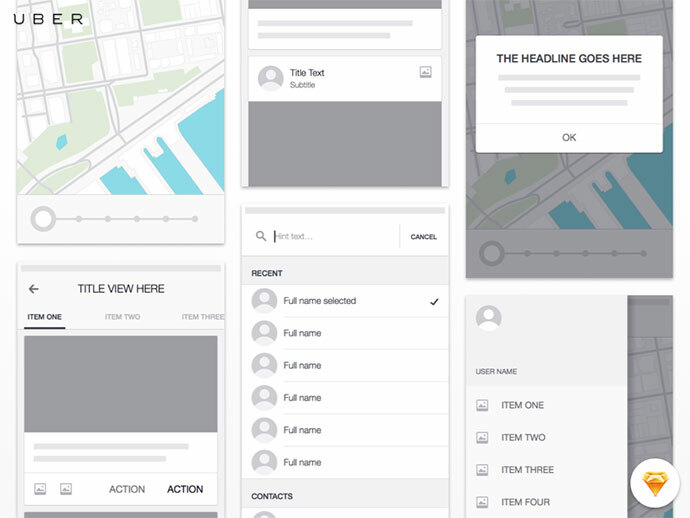 Wireframing can be something quick and dirty, or it can be a large task that takes time to perfect. 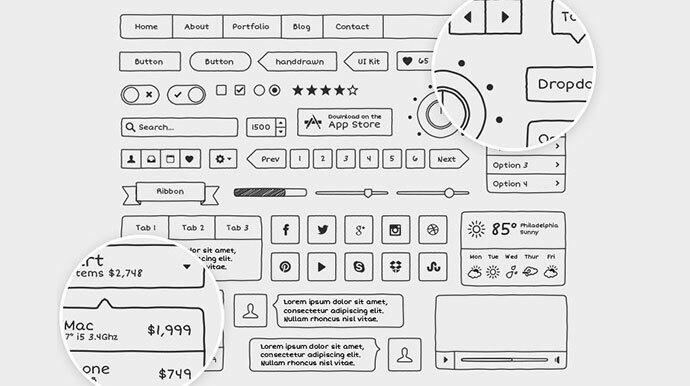 So here are some wireframe templates to help you save ton of time. 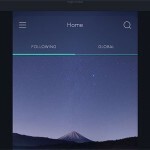 With these templates you can easily create effective mockups and prototype of your web and mobile apps in no time. 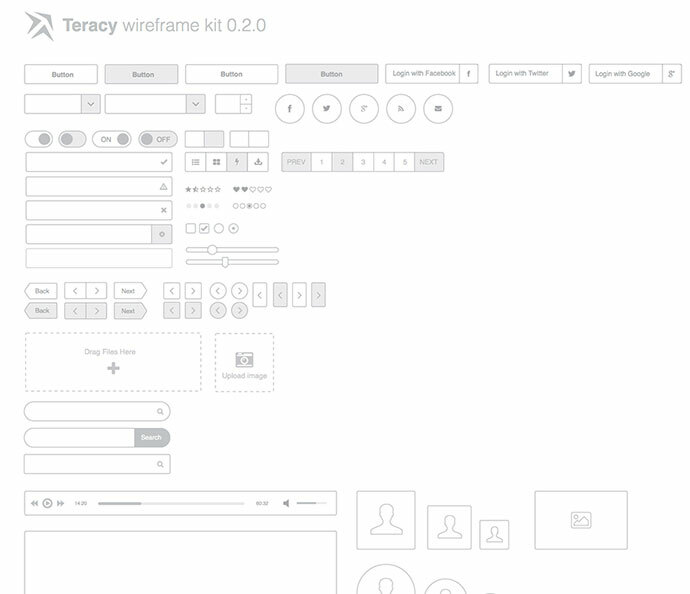 This is the Wireframe kit created to help speed up your wireframing process. 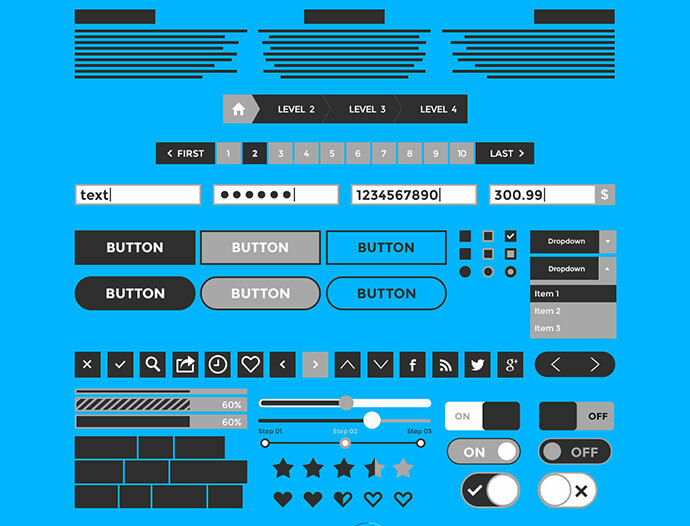 This kit includes basics UI elements for web, UI elements for Mobile and other devices will be updated in the future. 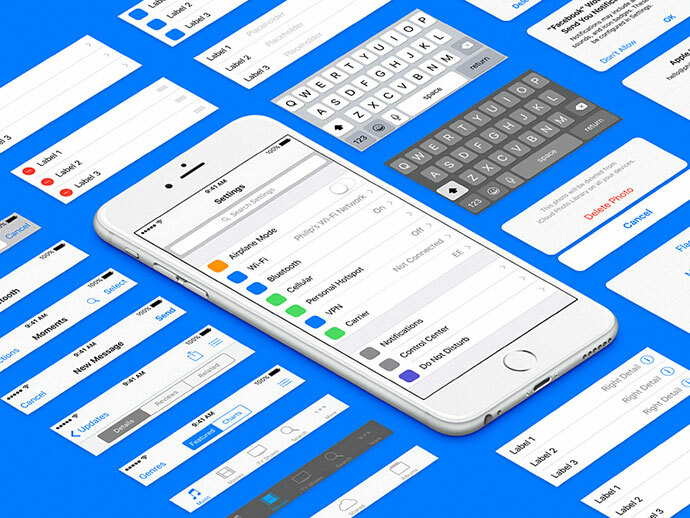 Introducing the first most accurate and most complete iOS 9 UI template for Sketch. 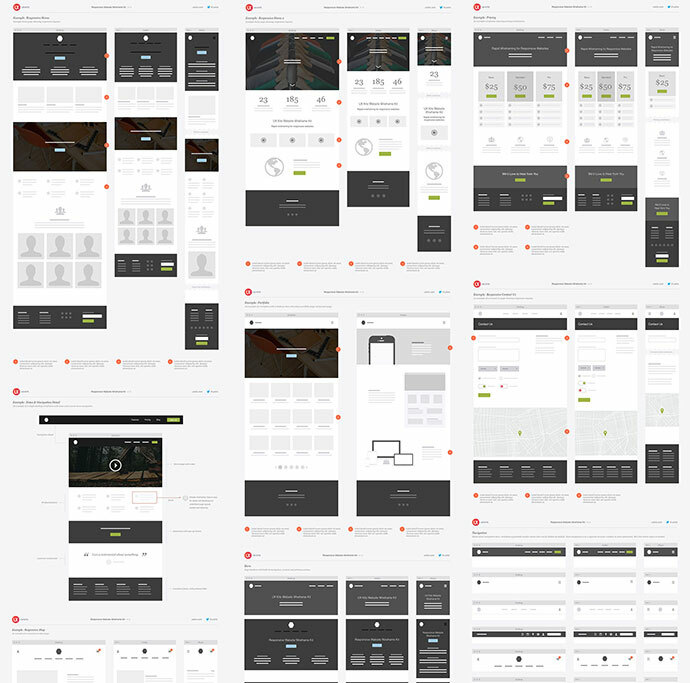 30 pages of content blocks, website elements, icons, wireframe examples and templates. 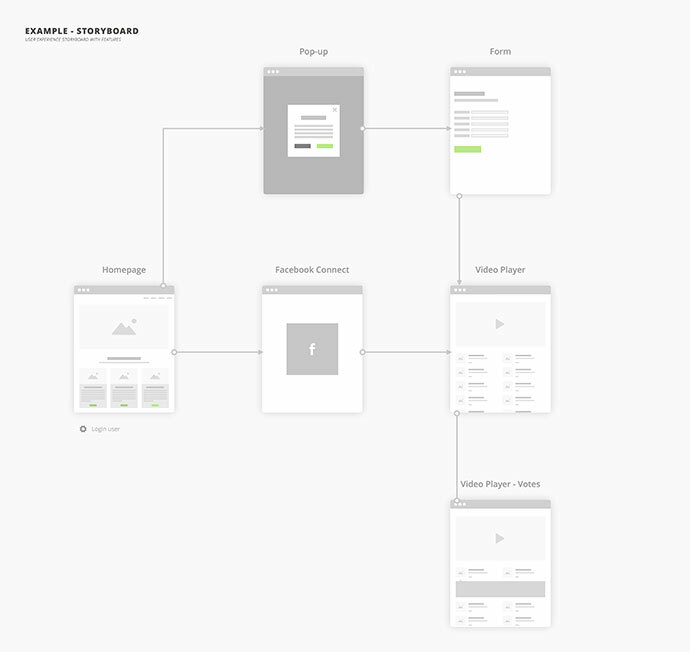 Every single component comes in 3 options to quickly create wireframes showing desktop, tablet and phone layouts. 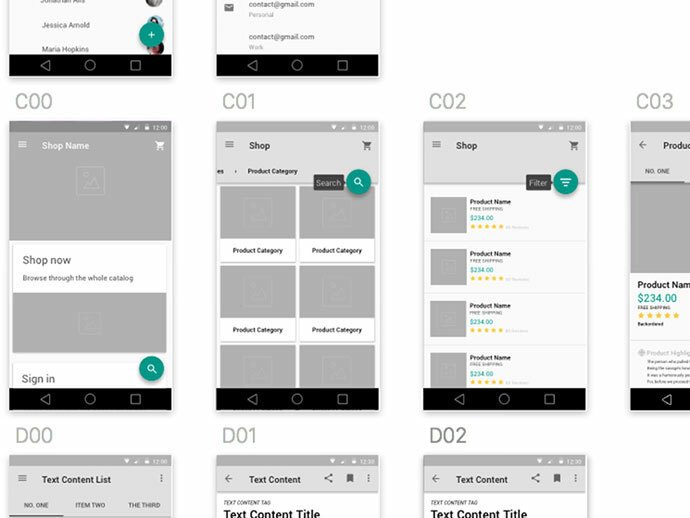 The Uber iOS Wireframe Kit helps us move quickly when illustrating initial concepts for new products and now you can use it too. 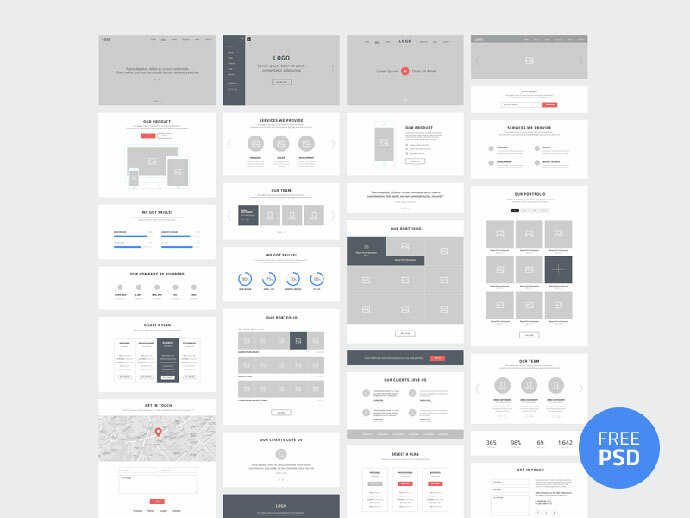 This kit include 75 Webdesign wireframe PSD layouts. 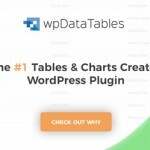 Best for presentation website structure to your clients. 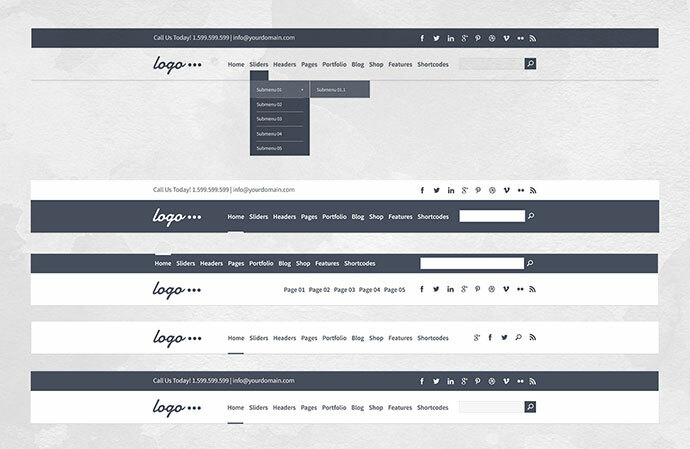 Best for creating your own webpage design. 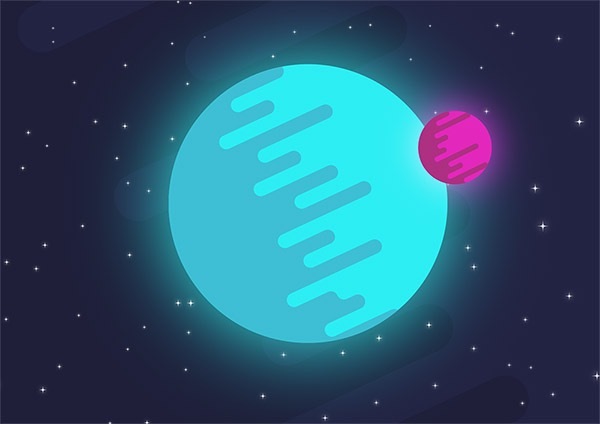 This templates used 1170px grid system. 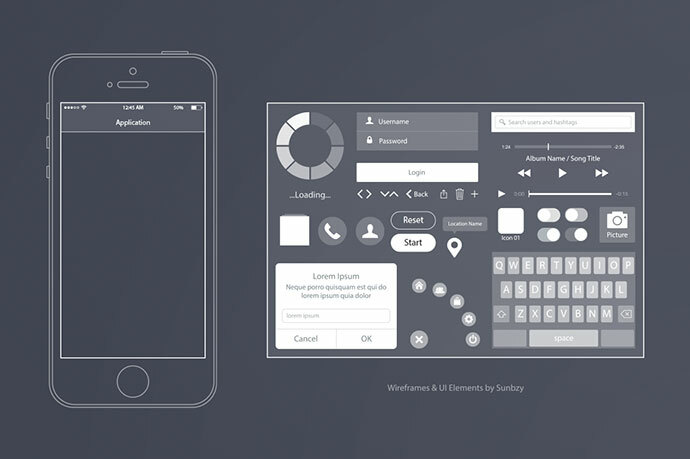 Use these wireframes to prototype your website quickly and easily. 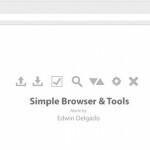 You can combine components in various ways for different projects like portfolios, landing pages and more. 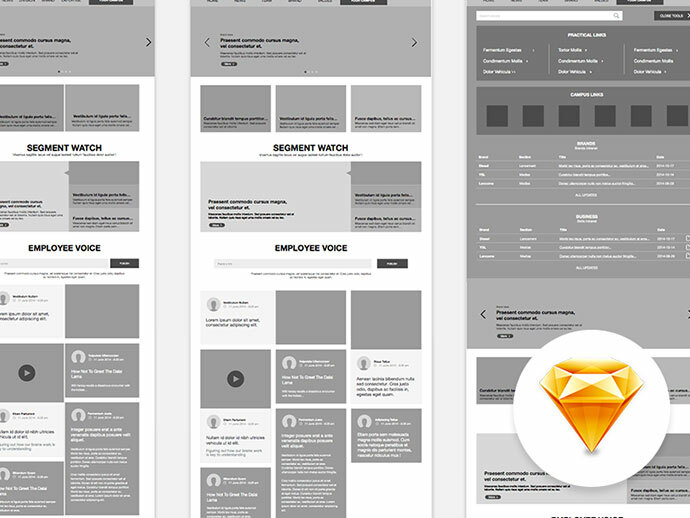 The wireframe includes have 40 pages and 100 UI Elements for web, tablet and mobile devices. It’s made for iPhone 5/5s resolution. 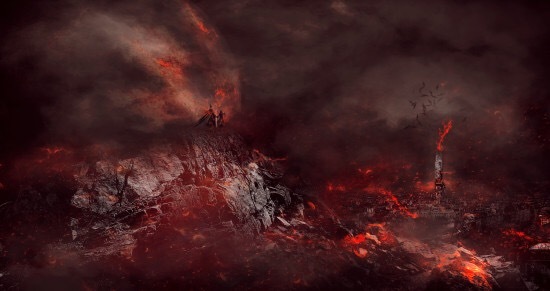 Can see the full-size image in the attached file. 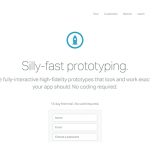 Perfect instrument for creating serious prototypes and complex web projects. We tried to make it as versatile as possible, at the same time getting rid of all the redundant features to help you save time and focus on your project. 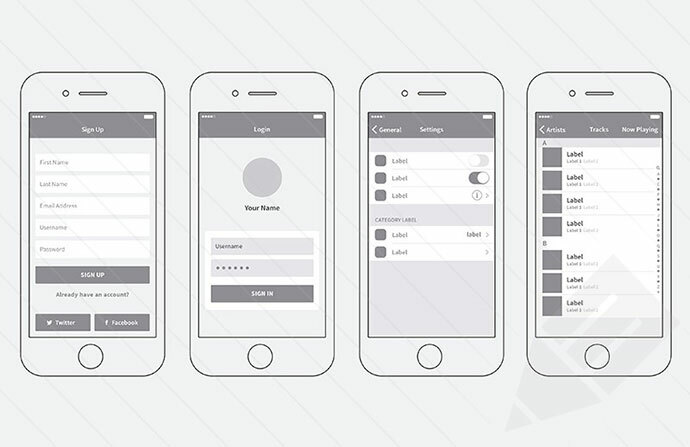 This free download is ideal for quickly wireframing your mobile app ideas. 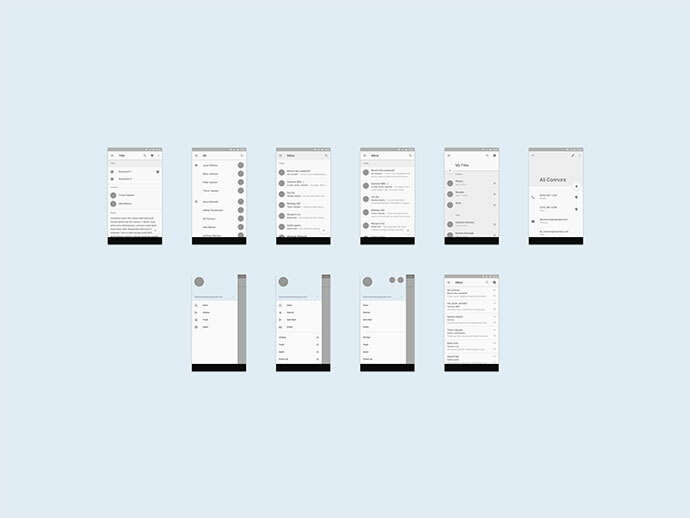 Included are 12 screens with plenty of UI elements and components across them. Each component can be arranged or customised to suit your needs. And if you prefer to sketch on paper, these elements are a great way of converting your ideas into smart, presentable designs. 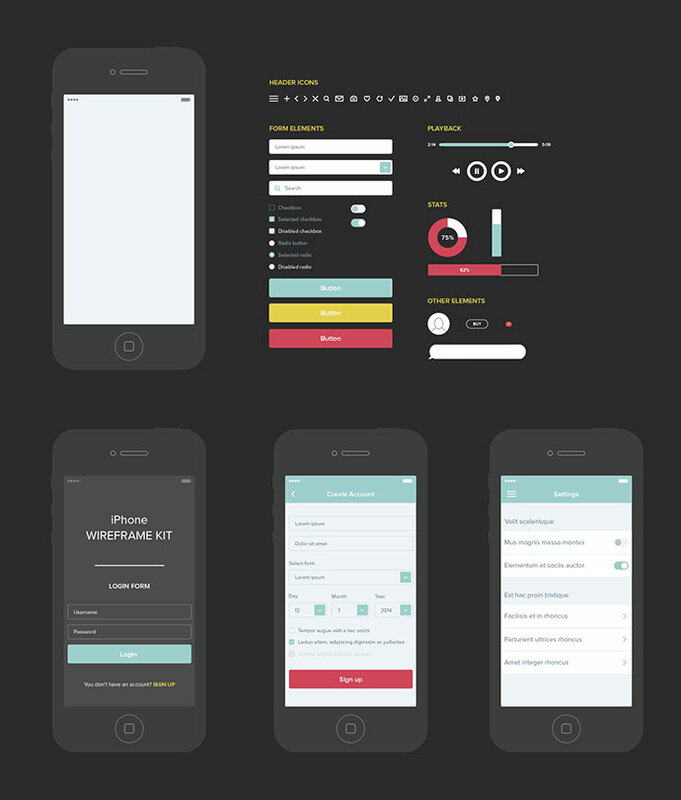 A simple Kit for wireframes, you can find 2 iPhone style (full and outline), some connection and a basic range of UI component. All in a .sketch file. 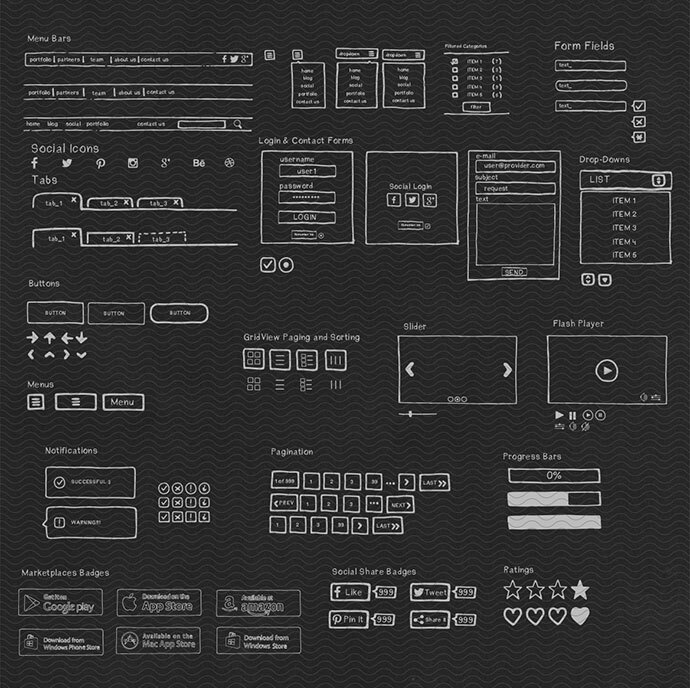 This vector UI kit contains essential elements for wireframing web and mobile designs. 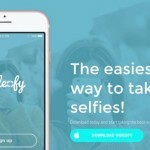 They are perfectly suited to mocking up and planning design projects. 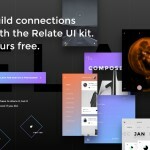 This UI Kit was inspired by the idea of drawing elements following the guidelines of common and most used web UI designs. The main intent in fact was to make an hand-drawn replica of what we use commonly while surfing the web. 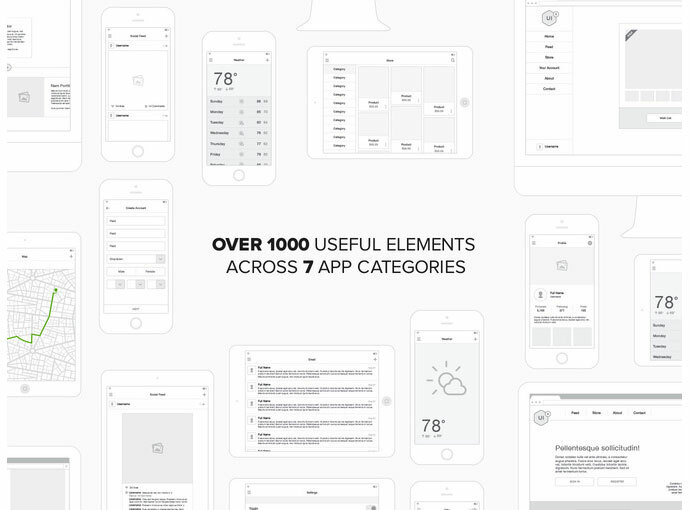 175 Templates and over 500 UI elements for iPhone, iPad and Web applications to help speed up your UX design workflow. Delivered in Adobe Illustrator and Sketch formats. 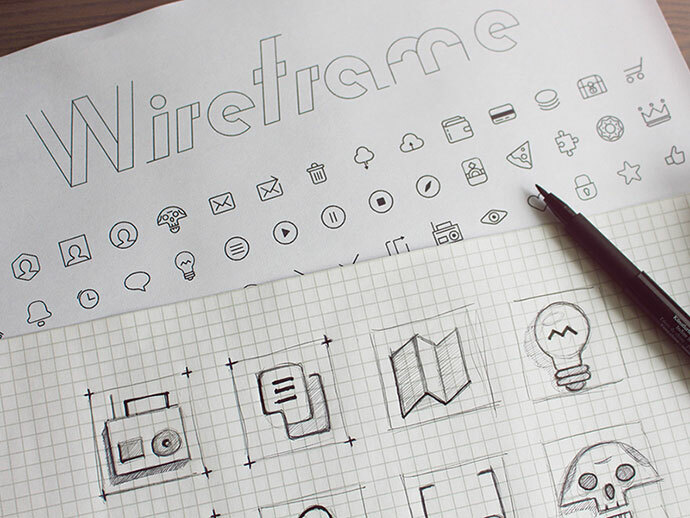 Build your wireframe with simple lines icons. 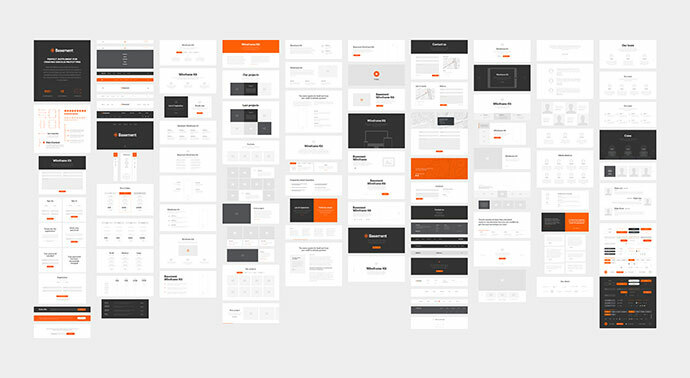 PSD file with 90 vector icons on 32x32px in two versions + 50 icons on 16x16px. 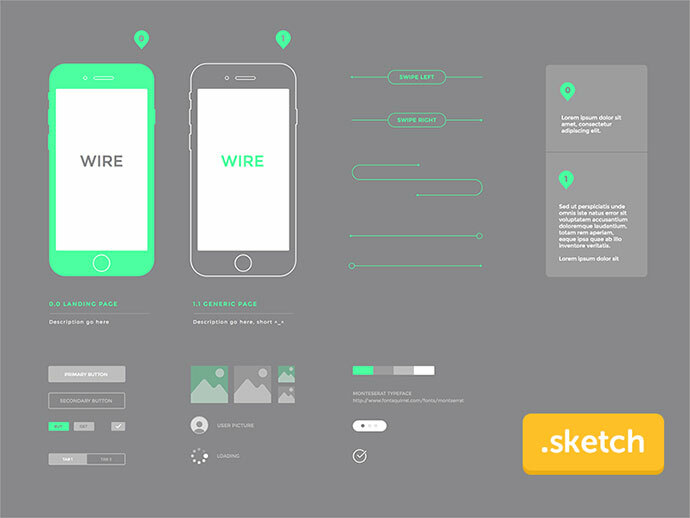 Kita3 is a new free Wireframe & Mockup UI Kit builded from vector and smartobject.